Tony Larsen grew up in Decker Montana but has always called Sheridan Wyoming home. He qualified two times to the Mountain States Circuit Finals and two times to the Montana Circuit Finals in the Steer Wrestling. Also Tony Finished in the Top 3 at "The Daddy Of EM All" in Cheyenne Wyoming at Cheyenne Frontier Days. 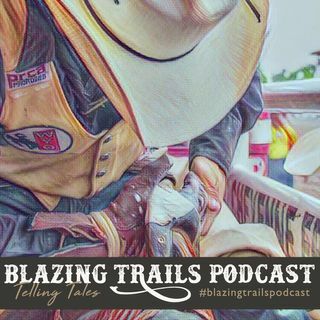 On the podcast we talk about growing up on a ranch, wrestling, the Army, rodeo, hunting and much more. I hope you guys enjoy the show.